People must learn to watch what is up there on the screen. This is a great film that is based on a slow, careful gathering of details which serve to establish the personalities of these two men. The passivity of Yusuf (Emin Toprak), the country cousin, is well described by his fear of talking to women. He has at least three chances to start a conversation with a young woman and loses all of them. He has many decades of bachelorhood ahead of him, and maybe unemployment as well. Mahmut is a different case. He got out of the small town by working very hard (we imagine), and his resentment of slackers like Yusuf is palpable (he leaves crumbs on the expensive carpet--the slob!). 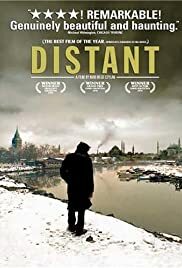 We are shown a group of friends talking about Tarkovsky among other things, and we note that Mahmut feels regret--but only slight regret--that his work has become commercial over the years. The gulf between the cousins just gets wider and wider. The mouse trap theme is wonderfully vivid, it brings out the compassion and confusion of Yusuf, and the cold-blooded problem solving of Mahmut. I was reminded of two classic films of men driving each other nuts: Les cousins by Chabrol (the rich boy with Hitlerian pretensions played by Brialy is always in my mind) and Kiss of the Spider Woman (William Hurt can't figure out why everybody's so mean). Nuri Bilge Ceylan takes his place among the dozen important directors now active. I just hope that in future he will come to rely on collaborators, instead of directing, writing and shooting his films himself. 76 of 85 people found this review helpful. Was this review helpful to you?